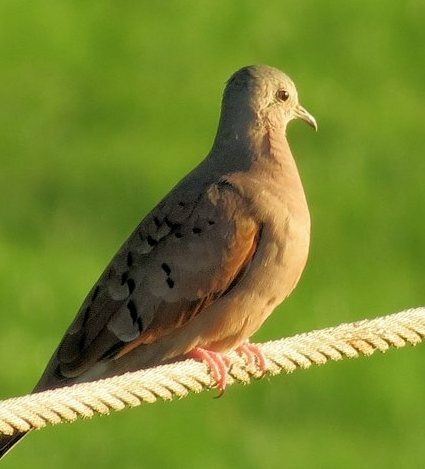 Paul Lehman found a Ruddy Ground-Dove at the Hidden Shores RV Resort Golf Course on Monday the 5th, so yesterday afternoon I headed out there as soon as I could to try and snap a few pics. 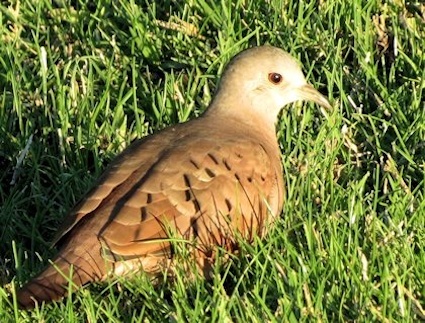 It took a while, but luck was with me, and I found the beautiful bird–a handsome male! Also roaming the golf course was a White-fronted Goose, a Snow Goose, 4 Vermilion Flycatchers, 3 Black Phoebes, 1 Say’s Phoebe, 6 Western Meadowlarks, a House Wren, Yellow-rumped Warblers, 4 Savannah Sparrows, a Lincoln’s Sparrow, a Dark-eyed Junco, dozens of White-crowned Sparrows, and a Golden-crowned Sparrow! It turned out to be a great late afternoon visit.